What happens when the touring Cricket Team Gets Primal ! There’s been a long standing tradition with touring sports teams to get out and experience the country they are visiting. To get to know the locals and to try the local produce. And when we say produce, we might be talking metaphorically. Because single sports stars are notoriously famous for trying anything new, often landing themselves in hot water and creating a controversy. Yet despite all the scandals of the past. The tabloid fodder and paparazzi, you know these sports stars won’t stand to be chaperoned or anything like that – they wouldn’t have it. So, when we were approached to supply our products in a goody bag for a well-known touring team during their stay in Australia, we jumped to it. Here was our chance to show these men what Australia is good for- because if anyone knows what it takes to bowl a maiden over, to act on primal instinct … well, we think you catch our drift. 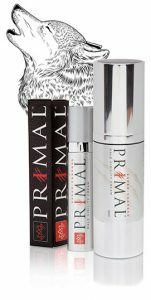 Judging from the responses and the requests for more than the bullet each we supplied or our Primal™ virility cream, were sure to let all the ladies know – there isn’t anything that would get in the way of their middle leg stump. And as there’s only one thing that can match the power and intensity of Primal™ for men and that is Caress™ for women- we decided to supply a complete set of our performance enhancing bedroom products to these sports stars, to share with their partners. Now, with a laconic chuckle, we stand back and watch these sportsmen in action. Knowing full well that it’s the Bodcare Intimacy range, packed full of natural Aussie goodness, which keeps their wicket standing for the whole match innings. And in this respect, we couldn’t be happier.